Hi everyone my name is Priscila Jerez, Im a senior and I am a Graphic Design major with a minor in art history. My goal when it comes to art would be to enter the gaming field. Im really interested in game art and animations and hopefully one day I plan to work for a well known gaming company creating video games. I choose this class because I needed it to finish my minor and because I thought it would be interesting. I guess I never really thought about feminism and the role it plays in game design but now that I think about it the gaming industry is a male dominated field and it seems like women are barely included in it. Also women who do happen to work in this field are not noticed/praised as compared to their male counterparts. On another note, there is a female artist which I recently learned about that I really admire her work. 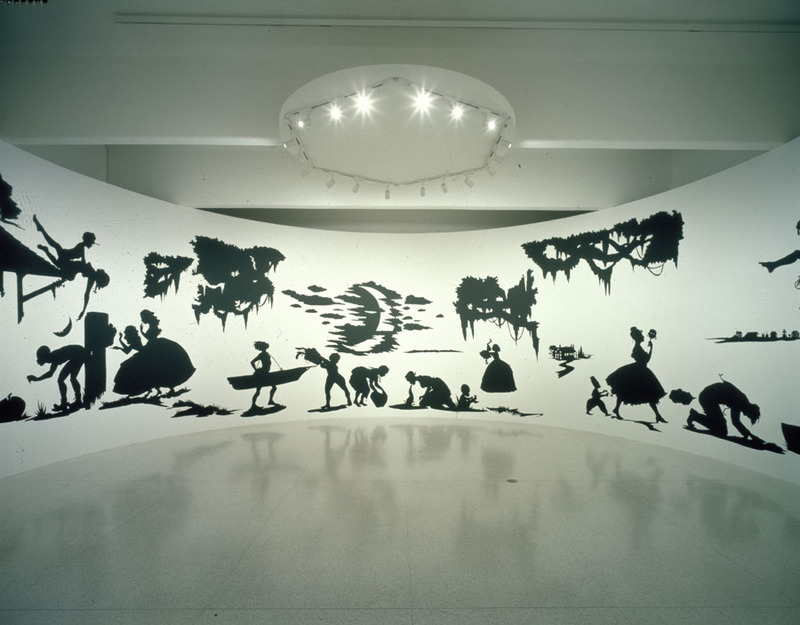 Her work involves the use of black or white silhouette cut outs to explore race, gender, sexuality, violence and identity. 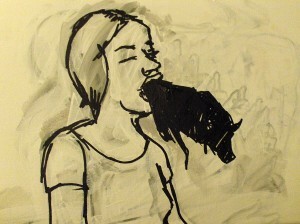 She works in large scale and her designs usually tell very creative narratives. Below is a link to her website. 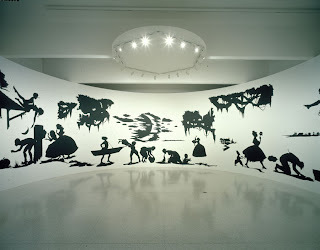 Kara Walker. Slavery! Slavery! 1997. Installation.